Taipei, Jan. 14 (CNA) The Netherlands' top envoy to Taiwan said recently that he is looking forward to working with Taiwan authorities to promote the "circular economy" concept. The exhibition at the Holland Pavilion at the ongoing Taichung World Flora Expo offers a perfect opportunity to showcase the idea of achieving a sustainable world, Guy Wittich, head of the Netherlands Trade and Investment Office in Taiwan (NTIO), said at the expo last Friday. At a press event, Wittich said he has seen a better-than-expected response to the "circular economy" concept since the Holland Pavilion opened last November at the Houli Horse Ranch & Forest Expo Site, one of the three venues of the flora expo. Unlike a linear economy which is a "take, make, dispose" model of production, a circular economy is a regenerative system in which resource input and waste, emissions, and energy leakage are minimized by slowing, closing, and narrowing energy and material loops. Wittich said his country has been promoting the idea for years with the goal of developing its economy as a circular model by 2050. The Holland Pavilion was built to embody the circular economy concept, focusing on achieving environmental sustainability by minimizing the negative impact of economic activity on the environment through the use of recycled materials and smart design, he said. Constructed in partnership with 44 public and private entities in Taiwan, the pavilion is the first circular-built structure in Taiwan, Wittich said. The pavilion, which was unveiled last November during the opening of the Taichung flora expo, features many environmentally friendly designs such as energy-conserving pneumatic vacuum elevators and bolted steel structures that required no welding, according to the NTIO. In the three months since the expo opened, Wittich said, he has been pleased to see many young people visiting the Holland Pavilion. "I was extremely glad to find that many Taiwanese students and young visitors are showing interest and gaining more knowledge about a circular economy during their visit here," he said. The NTIO said that about 70 percent of the estimated 2 million visitors to the flora expo over the past three months have stopped in at the Holland pavilion to learn about the concept of the circular economy and ideas for business cooperation between Taiwan and the Netherlands. On the question of obstacles to achieving a circular economy in Taiwan, Wittich said that while many industries in Taiwan already have the required knowledge and skills, the Taiwan government needs to be more open to the idea and to adopt relevant policies. 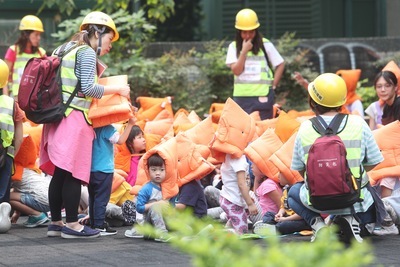 According to an NTIO official who asked not to be named, the office is hoping that the Taiwan government will make it easier for suitable used materials to be incorporated into new building projects to decrease the environmental impact of non-renewable resources. The official said his office found it "frustrating" to negotiate with the relevant authorities on a plan to dismantle the Holland Pavilion at the end of the expo and pass on the materials to Taiwan Sugar Corp. for reuse on new projects at the Yuemei Tourism Sugar Factory recreation site in Taichung. This is because there are no rules in Taiwan pertaining to the concept of the circular economy to facilitate the redesign and reuse of the old materials in new construction, the official said, adding that the construction sector in Taiwan usually disposes of materials that can be reused in future projects. Meanwhile, Wittich said, he plans to visit the six special municipals in Taiwan, namely Taipei, New Taipei, Taichung, Tainan and Kaohsiung, next month to discuss with the mayors the possibility of city cooperation projects with the Netherlands in 2019. The Taichung World Flora Expo, an international event recognized by the International Association of Horticultural Producers, is being held until April 24 in the city's Waipu, Houli and Fengyuan districts.